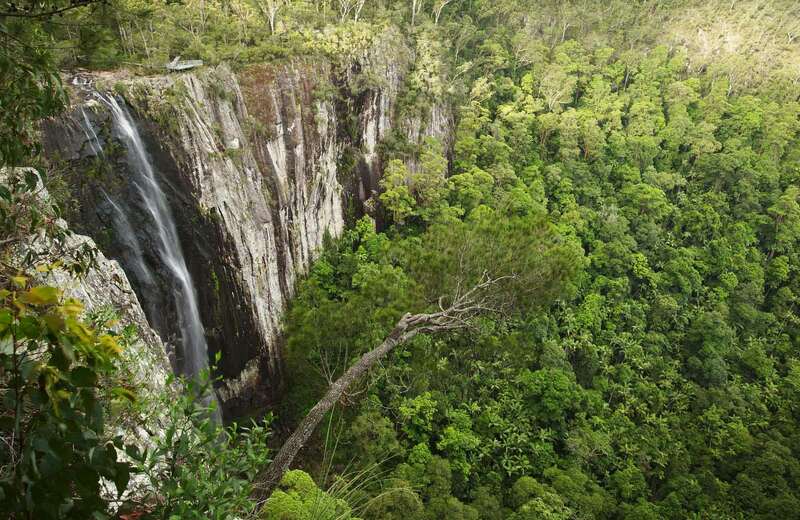 Popular with visitors to the Byron Bay area, Minyon Falls walking track leads through rainforest to a scenic waterfall in Nightcap National Park, in northern NSW. This walk is in a remote location an weather can be unpredictable, so please ensure you’re well-prepared, bring appropriate clothing and equipment, and advise a family member or friend of your travel plans. 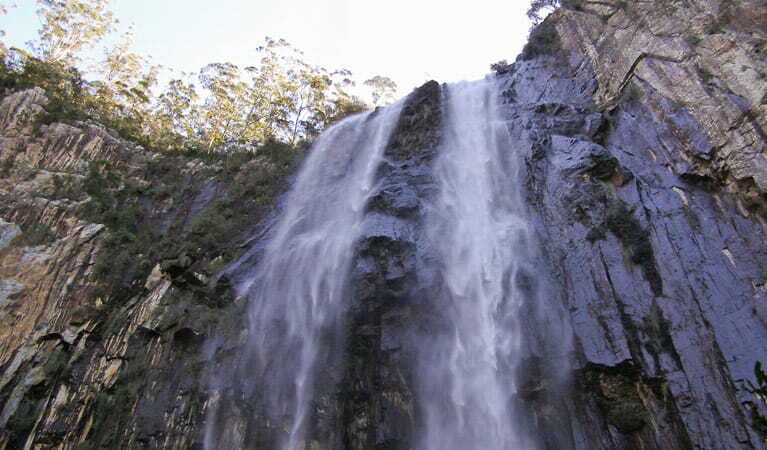 Minyon Falls walking track offers the opportunity to experience a range of forests, pristine creeks and a spectacular waterfall in Nightcap National Park. Winding through Nightcap escarpment, in northern NSW, this beautiful track will challenge and delight bushwalking fans in equal measure. 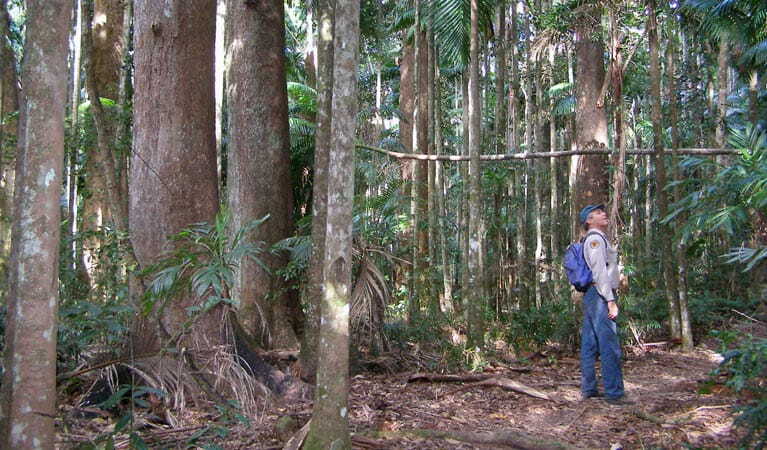 Leading through dense rainforest, be sure to lookout for the spectacular stand of old-growth brushbox trees on the western side of Repentance Creek. 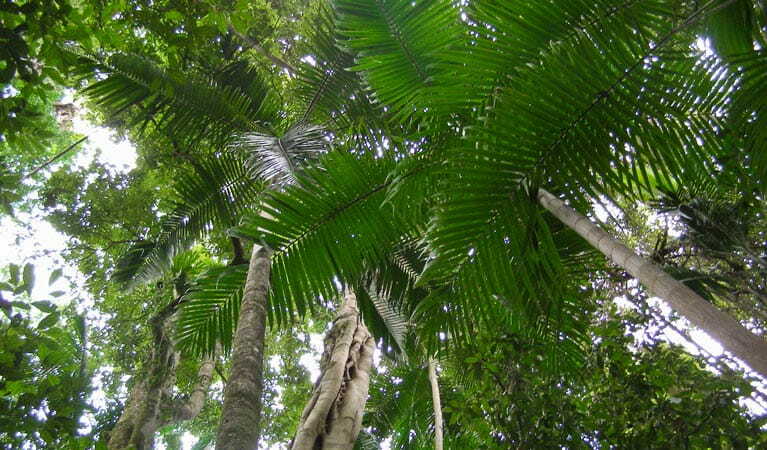 Stop for a tranquil picnic lunch along the fern-lined creeks. Choose to start this track from either of the picnic areas at Minyon Falls. 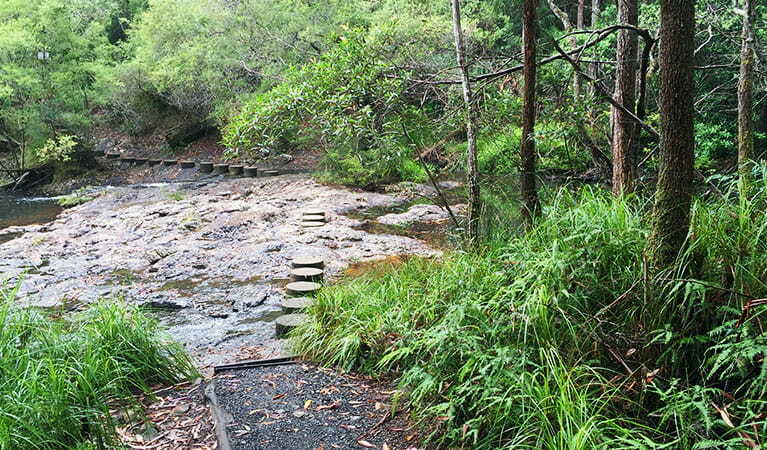 The track links to Boggy Creek walk, which leads north to Rummery Park campground, in neighbouring Whian Whian State Conservation Area. Spark up one of the free gas barbecues at Minyon Grass picnic area. 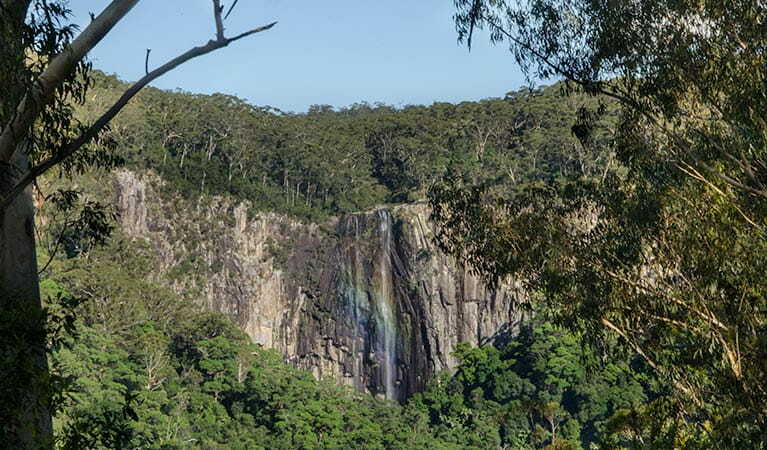 With its picnic tables and beautiful views of cascading falls and the surrounding forest, this low key spot is a little quieter than the popular picnic spot at Minyon Falls lookout.